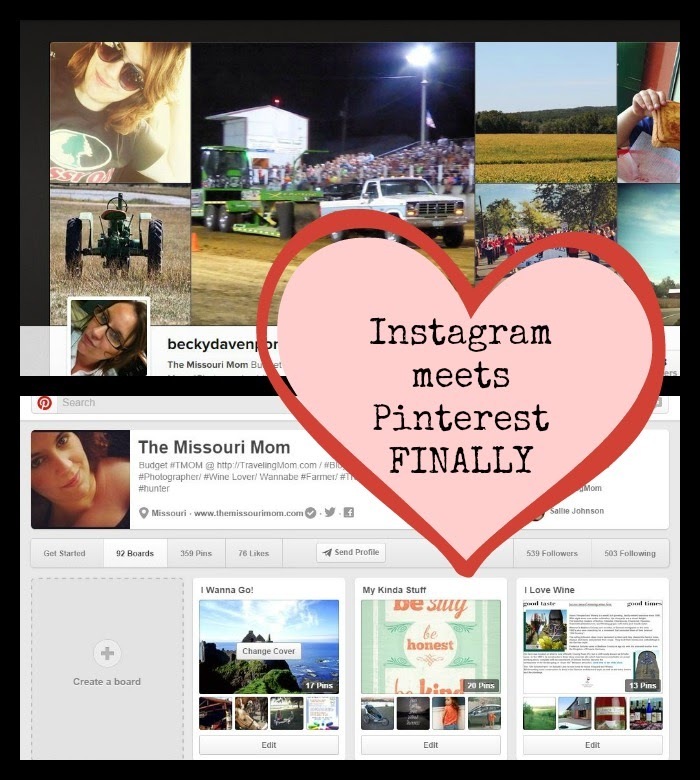 A small miracle happened in my world today - I discovered I could pin photos from Instagram to Pinterest, both on my computer and on my mobile phone. This could be earth shattering for me - I use to hate Pinterest, mainly because I could not intertwine my Instagram photos - without a huge headache. NOW - I could very well fall in love with Pinterest. How to pin your photos from Instagram to Pinterest. Instagram is still a mobile app - since most people use it on mobile I am going to first show you how to pin your photos via the mobile apps first. First post a photo on Instagram , use one that you have already posted, or you can use these tips to pin someone else's photos like I have done here. 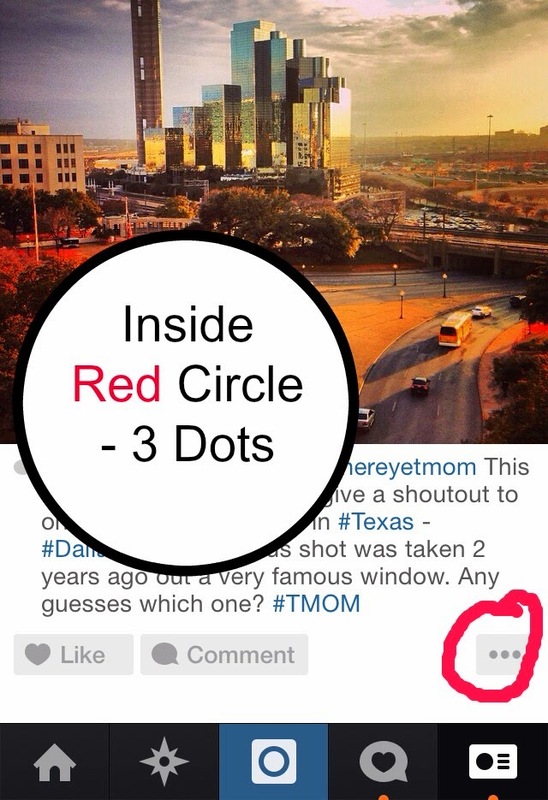 You need to click on those 3 dots that I have circled in red, when you click this will pop up. 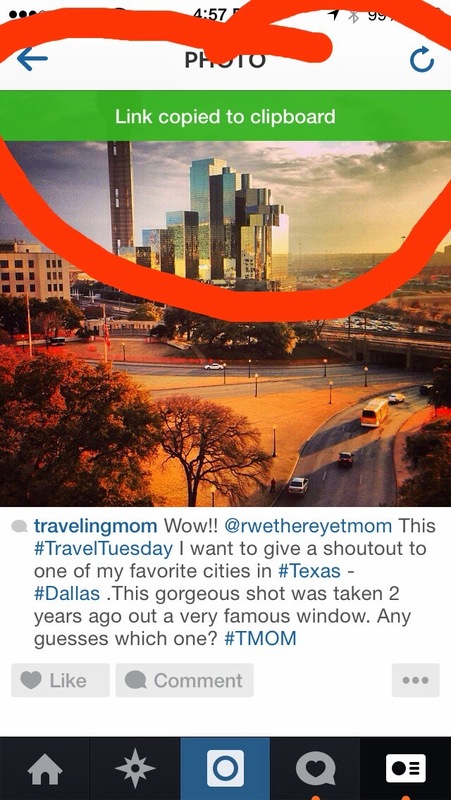 Magically more options appear - to pin the photo you need to Copy Share Url - you do that by just tapping it. 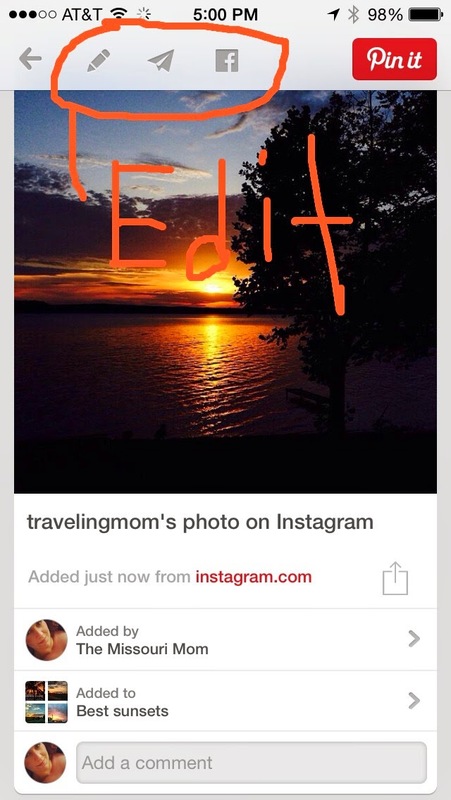 You are ready to now pin the image on Pinterest! First you need to open you Pinterest Mobile App, when you open it you may see something in blue at the bottom of the screen - if you do, click it. It will automatically take you through the steps of pining. If you do not see the blue line, you will need to do a manual upload from a website, so you will go to the + symbol. This will be where you select what board you choose to pin this photo to - please note if you belong to group boards, know their rules for pinning photos. That little pencil inside the circle will give you the option to edit the description, change your URL (in case you want the photo link back to an article), and add location. You may want to at least give a better description of the photo - and if it is not your photo - give credit the person whose photo it is. Many people do not realize they can view, comment, and follow people on Instagram from their PC - ironically the only thing you cannot do on the Instagram website from your computer is upload photos. To pin photos from Instagram there is 2 options. 1. Click the photo you want to pin and then use your pin button from your tool bar - that is probably easiest. 2. Copy and paste the URL into Pinterest, just like you would do any other website you are pinning from. From there you have the same steps as you do in mobile; selecting boards, editing pin, and sharing over other social networks. Happy Pinning you all - if you have any questions feel free to ask! Traffic from search engines is unobtrusive in nature. Most advertising, both online and offline, has an impact on the audience. Internet search is unique, as advertising and information are provided in accordance with user requests. buy 100 Instagram likes . The best part is you can build your network all around the world from your smartphone. click over here to know more about the best engagement of the instagram..
Photographs that emerge get shared. This is the manner by which a solitary photo on Instagram can become famous online, acquire you hundreds or even a great many supporters,bigsocials.net and help you attract regard for your business.